I don't know why this keeps happening to me, but it does. I'm covered in insect bites, yet again -_- At least if I were on holiday, I would have the hot sun to make it worth while but instead we have this years 'English summer'. I really need to have a holiday! I'm currently wrapped up in my duvet, drinking a large glass of milk and watching Nikita. I love the series so far, I'm only on episode 6 and I'm getting incredibly addicted to it. Shane West = perfection. I'm having such a great week so far, I've had amazing uni results, I had work published in this weeks Zoo magazine and More! have asked me to come in for two weeks on the beauty desk. So excited to go back there, its such a lovely working environment, I wonder if I'll see Alan Carr again :) Today I did a kind deed for the mother and I cleaned and hoovered the house, I managed to do this even though Kaya (my dog) kept trying to chase the hoover around the room...sigh. Hope your week is going well! 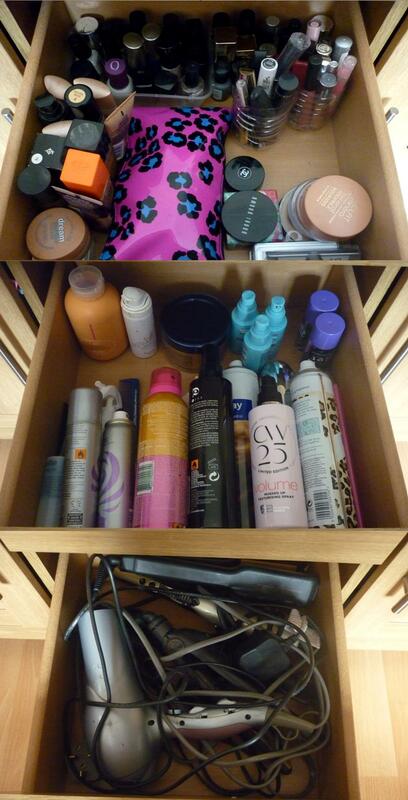 :) For today's post, I wanted to show you all my little make-up draw and how I organise everything. 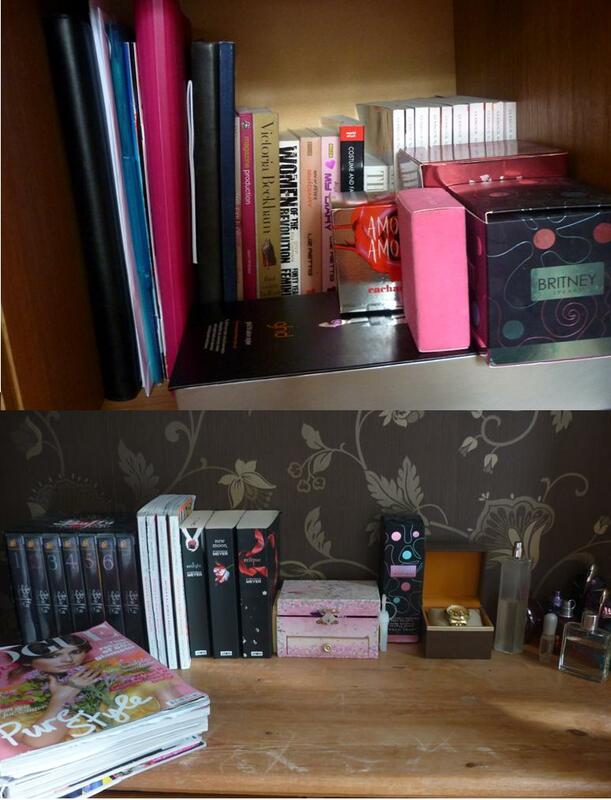 I'm always looking at these types of pictures when other blogs post it - it motivates me to clean my room haha. 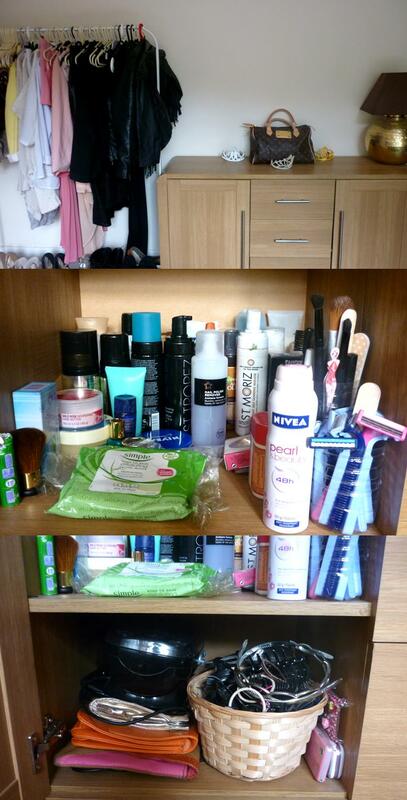 I didn't want a wardrobe for my room, I wanted two rails - I've obviously been looking at too many tumblr girl bedrooms ;) As you can see, I've made a poor attempt of colour co-ordinating my clothes on the first rail..
Food job organizing. I need to do the same, but am procrastinating. You must be super motivated. Love all the pictures! I'm taking some insperation from you!! You're very neat and organised, I find things so much easier that way, I get a bit mental when things are messy and I can't find what I'm looking for! I see nail polish, I love my polish :). I use one of those clothing racks in my room too! I love your fun and cute blog.